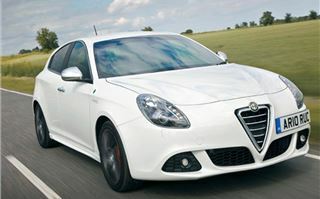 The year of the launch of the 2010 Alfa Giulietta is Alfa Romeo’s centenary. That’s right, the first car by Anonima Lombarda Fabrica Automobili of Milan was a 24HP model built in 1910. And, with a glorious past including the first World Motor Racing Championship in 1925, the first ten cars across the line in the 1933 Mille Miglia and the first two Formula One Word Championships in 1950 and 1951, it’s fitting that Alfa Romeo should be the featured Marque at this year’s Goodwood Festival of Speed. 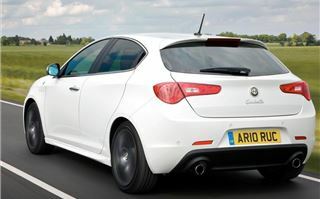 Alfa is using the occasion to launch its much awaited new Giulietta that isn’t intended as much to storm the huge ‘C sector’ as to sell to the select few seduced by the marque’s exotic past, the good looks of the car itself, and its industry leading high tech Multi Air engines. They’re looking at about 6,000 cars a year compared to around 120,000 Ford Focus. 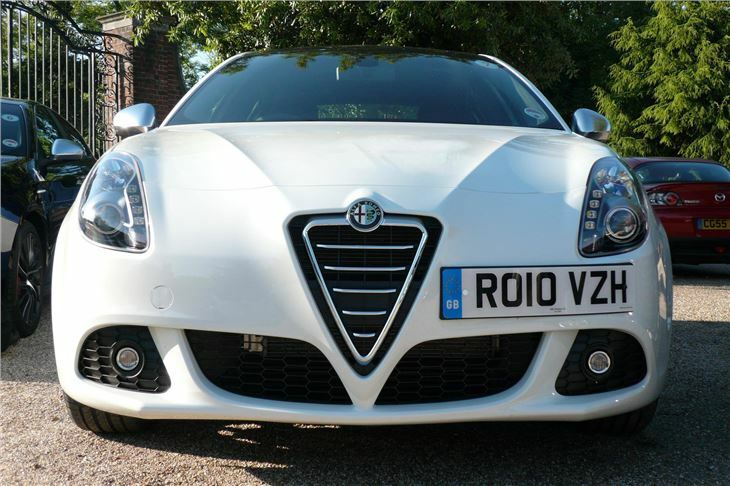 Alfa’s past in the UK isn’t as much chequered flag as chequered. We couldn’t even get the original 1,300cc twin-cam Giuliettas of the early 1950s, and if we really wanted one we had to pay a fortune. 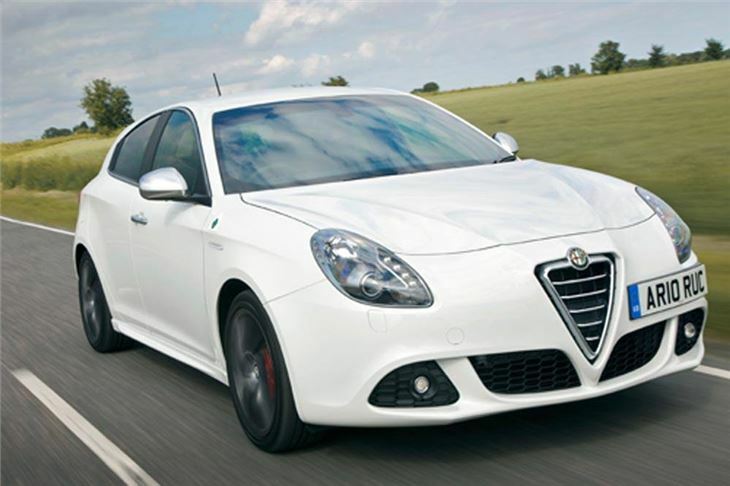 Some Alfas have been breathtakingly beautiful. Some have been immensely charismatic. Most have been seriously rust prone. A GT Junior I owned in the 1970s was all three. Since the 70s, you could rely on the company to pull something stunning out of the hat occasionally. But more often than not the cars were frustratingly flawed in some way or other and were more likely to be bought by ‘The man Who Loved Women’ than the man who loved cars or the junior brand managers seeking to impress. Women weren’t impressed at all, though I do remember one screaming in the back seat of my GT Junior as we went through the Worcester Park underpass on the A3 at 115 miles an hour. The Walter d’Silva designed Alfa Romeo 156 was a rare success for a while. I remember asking, “what would you rather see when you opened the door of your garage: a BMW E36 3-Series, or an Alfa 156?” The 2.5V6 with its police alert spoiler was a real hooligan of a car. Sadly, the gorgeous 159 hasn’t sold in the same numbers. What it gained in looks and handling, it lost in charisma from having to use too many bits and pieces from the General Motors parts bin. The Brera’s like a woman with a huge nose who looks devastatingly beautiful from some angles, but merely devastating from the side. 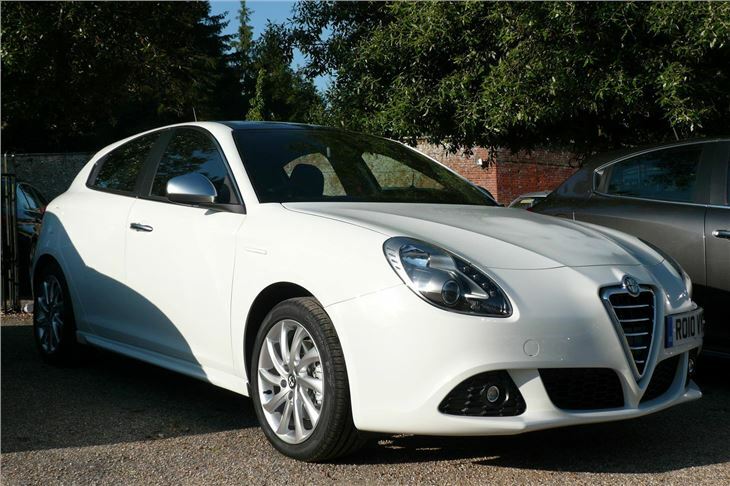 Then along came the MiTo that’s actually more original Giulietta coupe in looks than the Giulietta and is both pretty and cute enough to appeal to women who might otherwise have bought a MINI. That’s doing very well, despite a jumped start with the pre Multi Air engines. But women don’t worry about things like that. 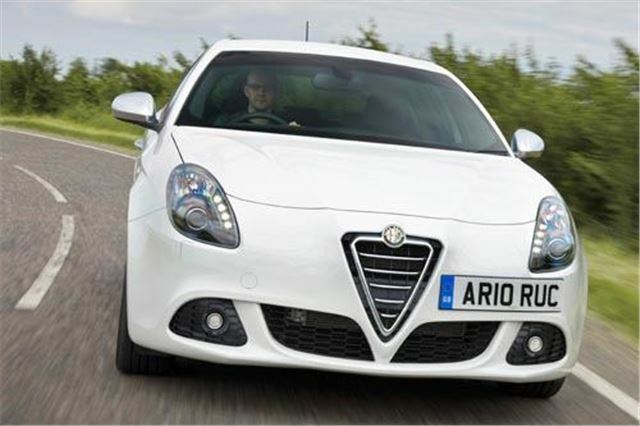 But you can’t sensibly get a young family into a MiTo unless the kids have a penchant for potholing and don’t mind being confined to a black hole in the back. The still lovely 147 was getting a bit long in the tooth and didn’t tell the neighbours that you were more MacBook Pro than Windows 95. 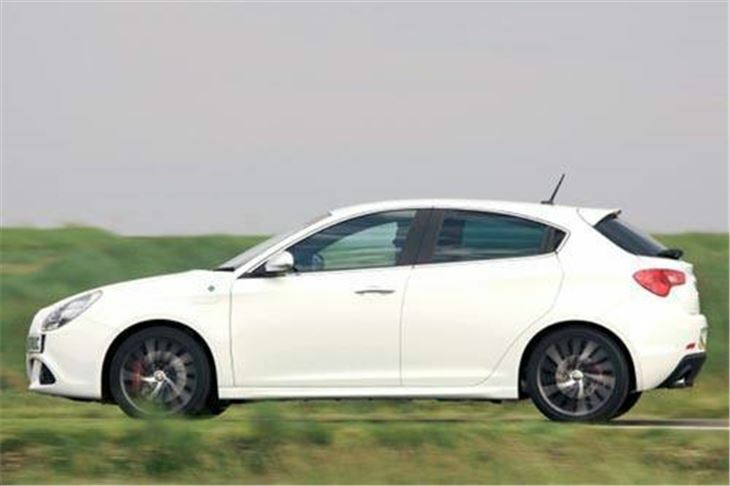 So now we have the Giulietta, in five trim levels, with five different engines and technology that out-techs anyone else. For a mildly eye-watering £16,995, you can have the base model 1.4 120PS turbo in Turismo trim with steel wheels, but hardly anyone will. The range really starts with the £19,495 1.4 170PS Multi Air Lusso we drove first. This comes on tidy alloys with comfortable 205/55 R16 tyres, selectable DNA drive characteristics and all the usual bits, though a space saver spare is an £80 extra. 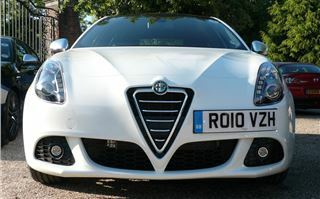 Unlike Alfas of the past (and continental cars in general) the cabin bonnet catch is UK driver’s side and the bonnet raises itself on gas struts. Under the bonnet the engine is nicely presented in red, with the turbo and its watercooled plumbing at the front. The seat and steering wheel are multi-adjustable, but the wheel can obscure the speedo, which is calibrated only in 20mph increments. (If the needle is pointing straight up you’re doing 100 and are in danger of losing your licence.) 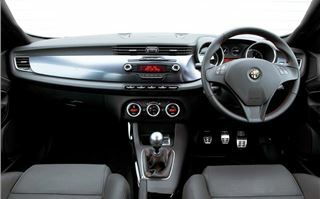 Of course you get FIAT/Alfa’s Blue&Me system with USB and Bluetooth hands-free worked by voice command or from the steering wheel and which has now worked faultlessly for me in my FIAT 500 for 27 months. The Multi Air engine isn’t rorty or snorty. It’s simply highly efficient, able to pull quietly from low revs and not use much fuel. With the DNA set to ‘Normal’, it feels as normal as a car can feel. Not sporty. Not egging you on. Just getting on with the job and going round corners more than decently. Push the DNA switch forwards and you immediately get a nudge from the car as if to say, “okay, I’m limbered up and ready. Now let’s go for it.” The whole thing feels more alert, with sharper throttle response and handling, and you can then start to enjoy yourself. It’s safe, too, in five star NCAP terms, with a class best highest score of 87%. A few minor criticisms. There’s not a lot of legroom in the back seat behind a tall driver. And, curiously, the seatbelt stalks foul the thumbscrews for adjusting the rake of the backrests. On, then, to the 1750, the name of which harks back to the glorious Alfa Romeo 1750s of the 1930s. This is the hot one, actually 1,742cc and pumping out a serious 235PS with 340Nm torque. And it goes a bit, taking corners impressively quickly, though feeling a little fidgety at low speed on its 225/40 R18 tyres. It rides quite well though, except over sharp ridges, and I couldn’t help comparing it with the SEAT Leon Cupra I’d been driving about a month before. In the Leon I found it hard to get used to the sharpness of the brakes at low speed (a consequence of their excellent at high speed). In the Alfa I felt the opposite. The brakes seemed too soft to me, though for others I spoke to they had been fine so it may have been just that car. I didn’t drive the diesels. Only so much you can do in one morning. They are a 105PS FIAT Group 1.6 previously seen in the Bravo, the main advantage of which is 114g/km CO2 and consequently low tax. 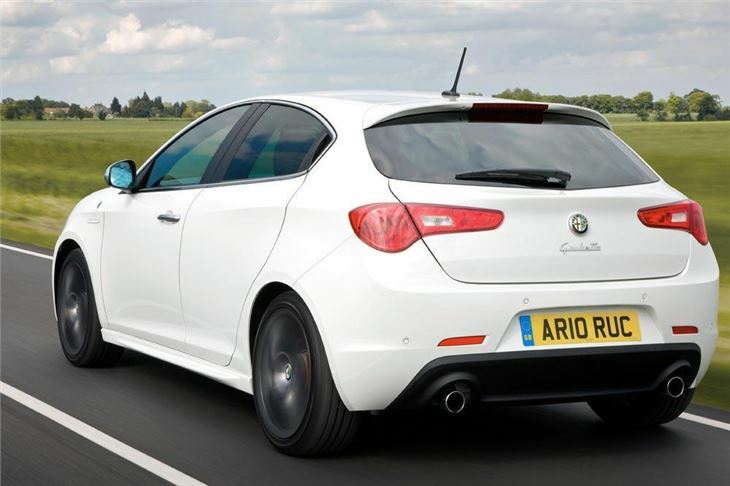 So you can have a car that looks like the Giulietta with modest running costs. Or a 170PS 2.0 litre diesel with 320Nm torque that comes in at 124g/km and that we have previously seen capable of 55mpg in the Vauxhall Insignia. 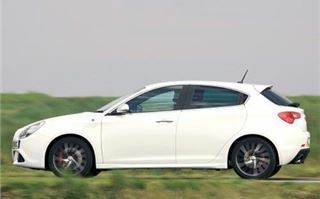 But I wouldn’t have a Giulietta diesel. I’d go for the 170PS 1.4 Multiair Lusso, because that’s an Alfa that moves technology on to the next phase. And, while actually playing quite safe, makes your neighbours who stuck with Golfs, A3s and BMWs look distinctly unadventurous.